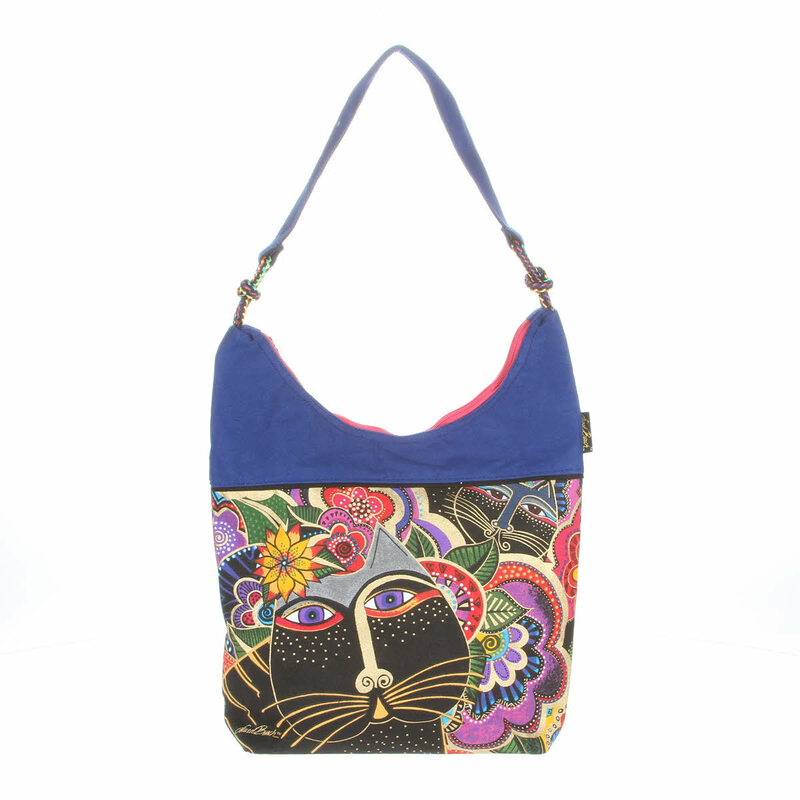 Designed by Laurel Burch, this tote features a large cat face on a background of colorful flowers. Design appears on both sides of the tote. Top zippered closure. 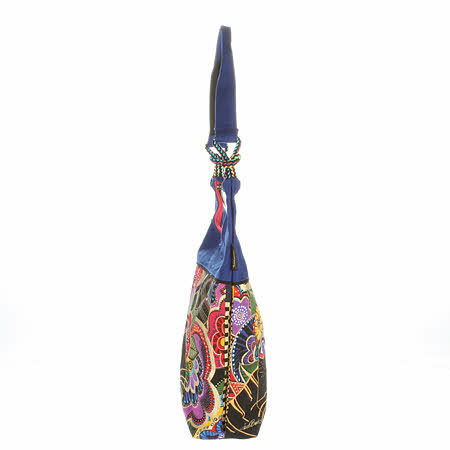 One interior zippered pocket. Made with sturdy cotton canvas. Size:15" x 3.5" x 16"